The curd is relatively quick and easy to make - it takes about 40 minutes from beginning to end. 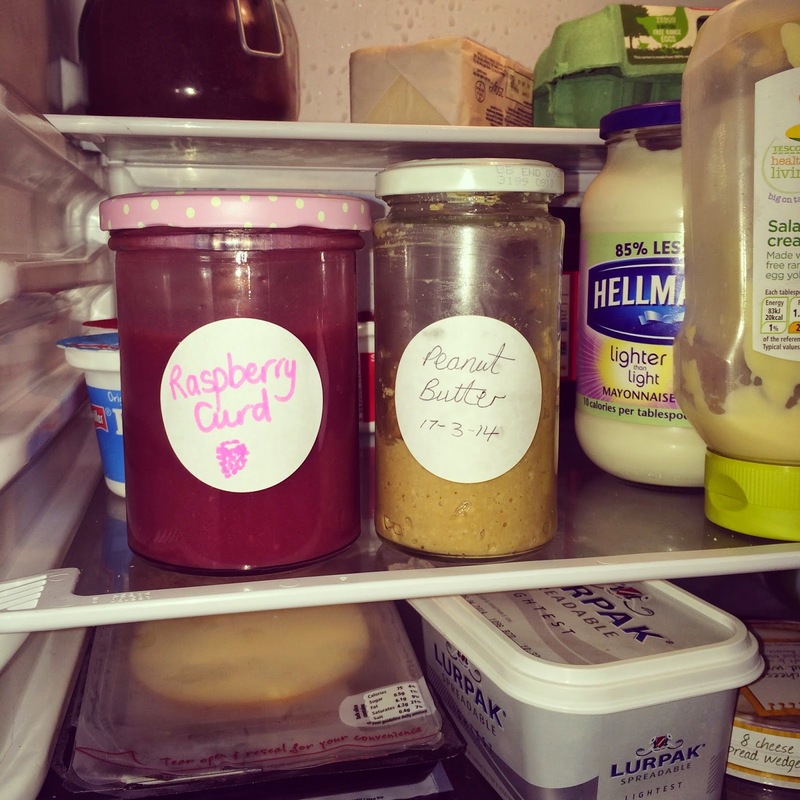 Once made it can be stored in a sterilised jar, and once opened can be kept in the fridge for around a week. 1. 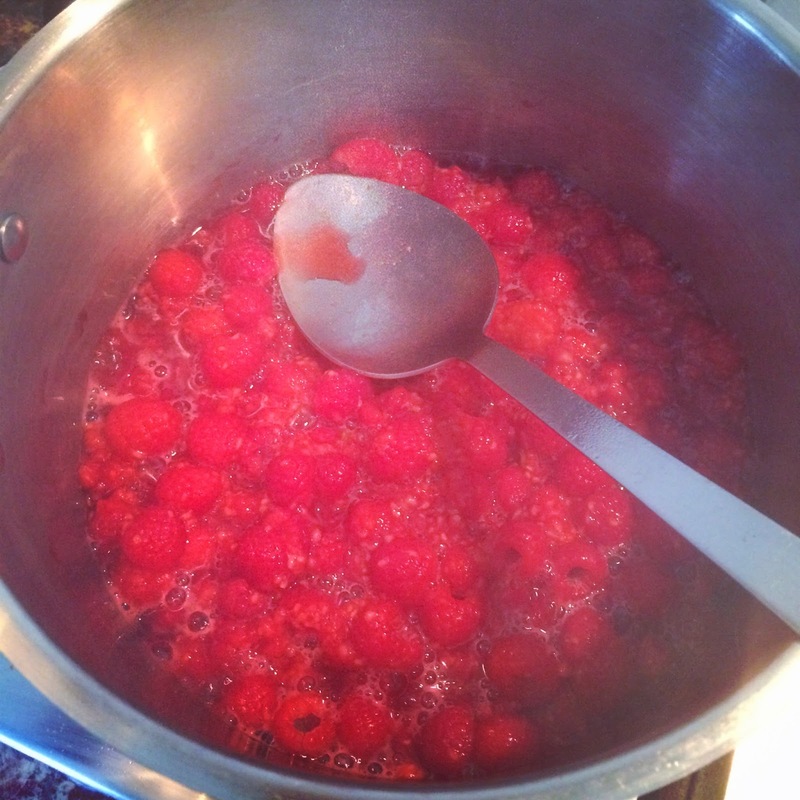 Put the raspberries and 2 tbsps of water in a large saucepan, and bring to the boil. Simmer the raspberries with the lid on until soft (around 5 minutes). 2. 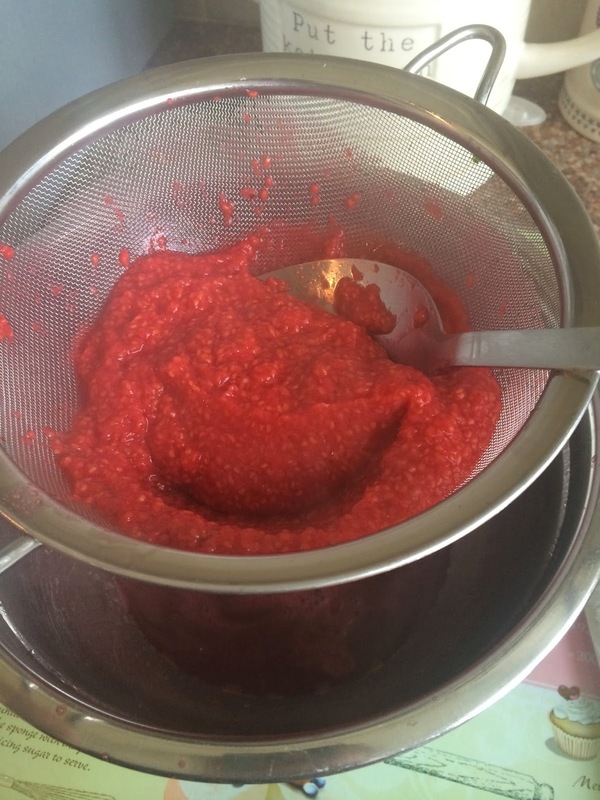 Pass the raspberry mixture through a sieve into a bowl placed on top of a pan of simmering water. Ensure the bowl does not touch the water, but creates a seal with the bottom of the pan to trap the steam produced by the simmering water. 3. Add the sugar, butter and eggs. 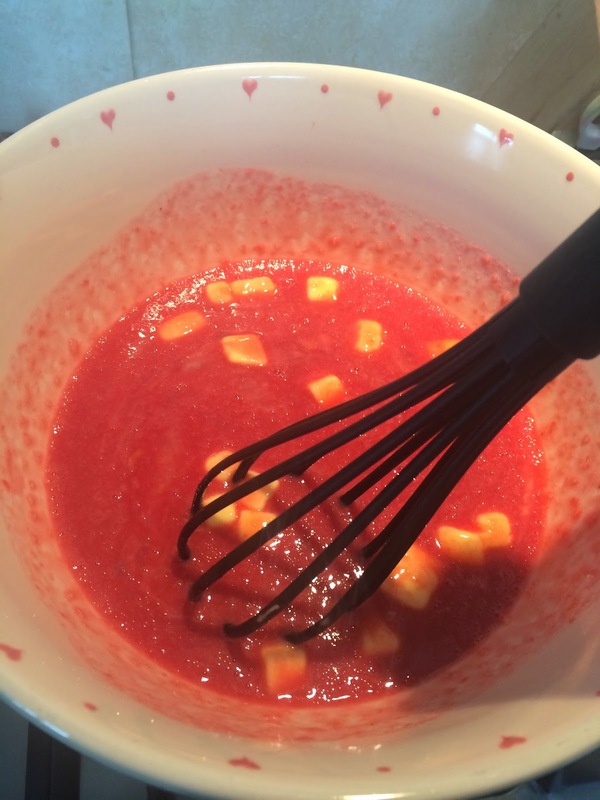 Over the lowest possible heat, gently whisk the mixture with a balloon whisk until the sugar has dissolved and the butter has melted. 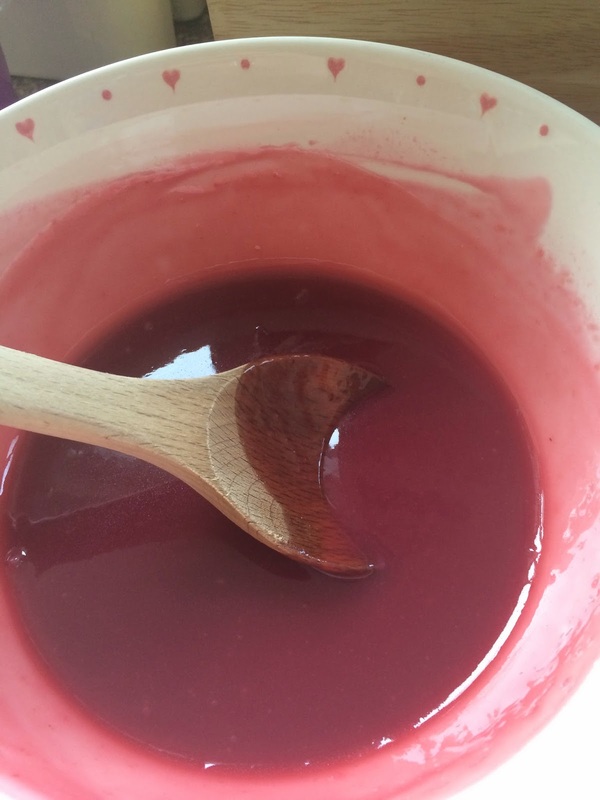 Stir with a wooden spoon and keep the mixture moving while you cook to ensure it does not stick to the bowl. On no account must it boil or it may curdle. If it starts to bubble, remove from the heat immediately, set the bowl in a large bowl of iced water, and stir the curd with a wooden spoon. 4. Continue to cook, stirring constantly (so as to avoid the eggs scrambling!) with a wooden spoon until the mixture thickens; then turn off the heat and stir again. If you feel the curd isn't quite as thick as you want it then heat it again - but remember that it will thicker further as it cools. The curd is properly cooked once it coats the back of a spoon - after that it is up to you how thin or thick you want to make it. 5. Once you are happy with the curd's consistency pour into sterilised jars , and label. Store in the fridge and once opened eat within a week (that won't be a problem, trust me!). 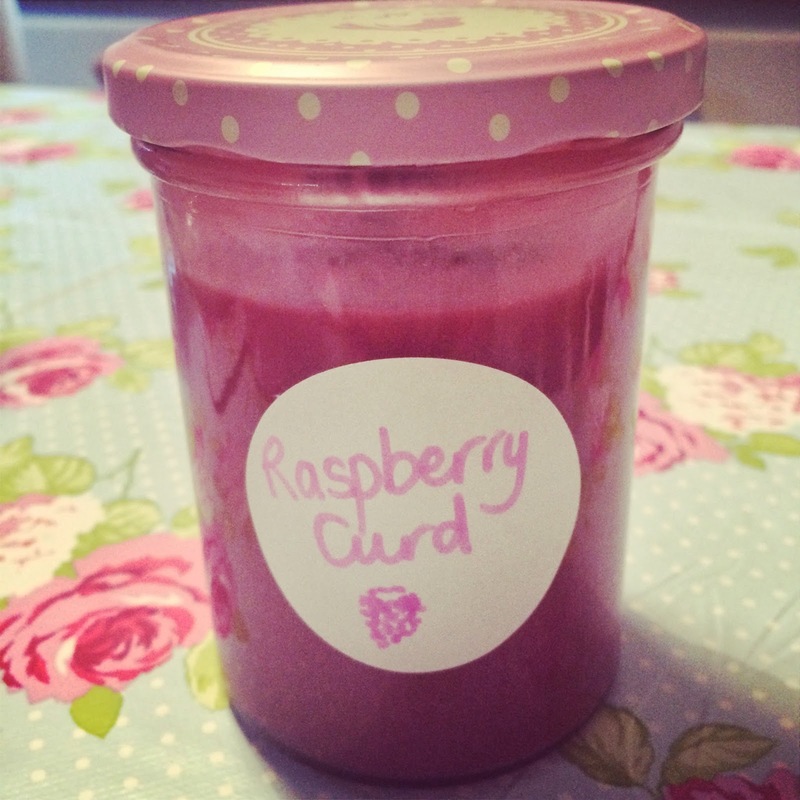 This curd is perfect spread on toast or crumpets, dolloped on top of porridge or rice pudding, spooned over ice cream, as the filling for Raspberry Meringue Pie, or if made thick enough you could smother it between two sponge cakes with fresh cream to make the ultimate Victoria Sandwich! 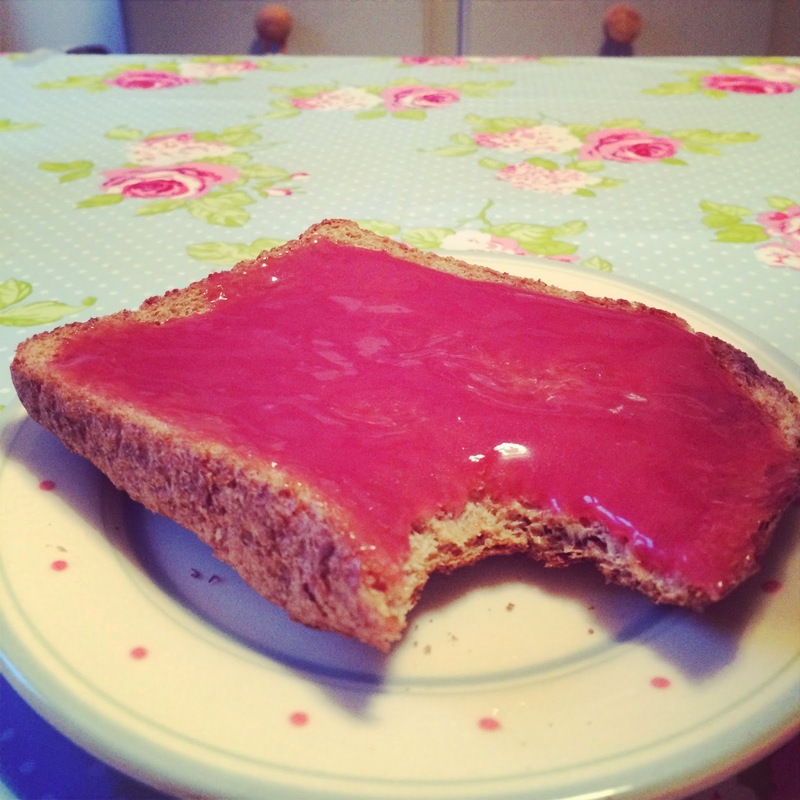 Soooo many delicious options….I opted for the quickest one - smothered on toast! 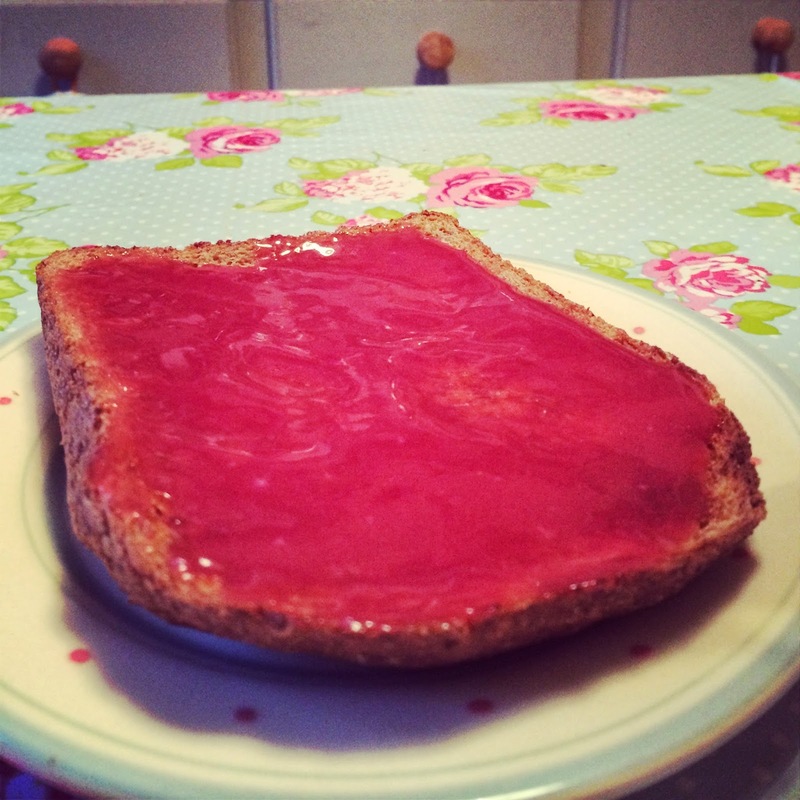 What a lovely sweet treat for a late afternoon "I need some sugar" snack!